Gyro and RBI Test is a spatial orientation task. Interpret Gyro Compass and RBI readings to determine heading and relative aircraft position to a beacon. 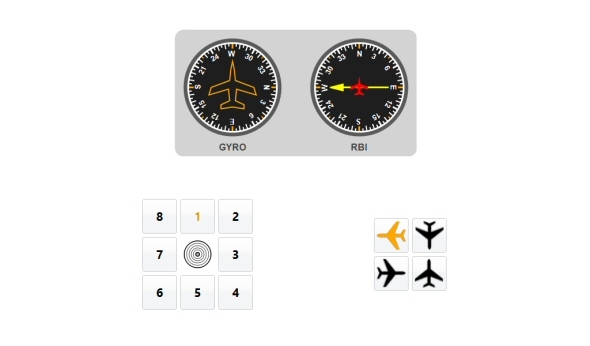 Select the aircraft that indicates the correct heading first and its relative position to a beacon second.